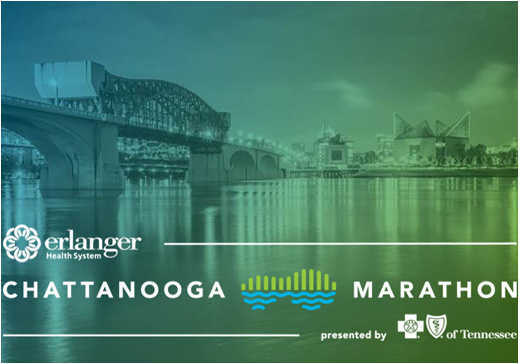 Chattanooga, Tenn. (February 19, 2016) – The weekend of the Erlanger Chattanooga Marathon presented by BlueCross BlueShield of Tennessee will be packed with entertainment featuring performances by some of the best local artists in the city. All activities will be held at the Finley Stadium Campus Pavilion, 1826 Carter St, Chattanooga, TN 37408. Admission is free. To listen to artists’ music and stay updated on the weekend activities, click here. 11:00 a.m. | Danimal Pinson | With influence from bands such as The Flaming Lips, Radiohead, My Morning Jacket, The Beatles and more, Danimal’s electronic rock style is filled with psychedelic grooves and ambitious lyrics. Listen here. Noon | Ryan Oyer Band | Named one of the best singer/songwriters in Chattanooga and winner of the 2015 Road to Nightfall, Ryan Oyer’s folk rock music is insightful and melodic. Listen here. 1:00 p.m. | Courtney Reid | Courtney Reid is known to mesmerize crowds with her powerful RnB voice. She gets them out of their seats when covering hits like Bruno Mars “Uptown Funk.” Listen here. 2:00 p.m. | Davey Smith and the Pearl Snap Preachers | The legendary “Pearl Snap Preachers” of Chattanooga are fronted by Davey Smith, winner of the 2013 Best Country Singer of Chattanooga award. This group is the honkiest tonkiest band in town – one song, and you’ll be hooked! Listen here. 3:00 p.m. | Dr. B & The Ease | One of Chattanooga’s hottest new bands, Dr. B & the Ease, perform funky originals, as well as covers from artists such as Alicia Keys and Marc Broussard. Listen here. 4:00 p.m. | The Power Players | With a mixture of rockin’ blues, electric funk, jazz, classic rock, and great Motown soul, The Power Players deliver a variety of music guaranteed to keep you movin’ & groovin.’ Listen here. 9:00 a.m. | Christie Burns & Co. | Christie Burns, a fixture in the Chattanooga folk-music scene, is a multi-instrumentalist and hammer dulcimer player who will captivate you with her gentle voice and genuine talent. Listen here. 10:00 a.m. | Lon Eldridge | Lon Eldridge’s warm and infectious acoustic blues sound is sure to keep you tuned in throughout his performance, coupling masterful fingerstyle guitar with clever, brilliant vocals. Listen here. Noon | Zach Ovington Trio | Zach Ovington has been a singer and multi-instrumentalist in Folk, Bluegrass and Jazz for over ten years. His performances can vary widely with many genres and influences. Listen here.